40% of total retailer trade in NSE /BSE is done by cash call, people trade intraday by taking margin upto 20 times of the money they have in terms of exposure from their broking firms. Now question is, is it safe to trade in cash or should we move to futures or options. then answer is risk for your capital is same but the gain is more in cash because of your more margin money, cash market calls are generally made intraday and profit upto 5% can be booked on daily basis. Many people believe that cash market call is always a buy call and if target is not achieved then delivery of the shares can be taken. But if you are taking the margin and trading intraday then one can also sell the share and before market closes one can buy back the shares and the difference will be your intraday profit or loss. 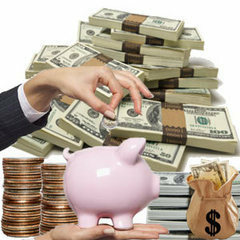 Cash market Intraday Calls are most commonly used method among the traders and people do make money from that.